Raízen Energia's 823 million reais acquisition of Santa Cândida and Paraíso mills, which were held by Tonon Bioenergia. Deals announced to date in 2018 include the 36.7 billion reais transaction involving the combination of operations of Fibria Celulose and Suzano Papel, the more than 5 billion reais public tender offer by Enel for the acquisition of Eletropaulo, and the 1.95 billon reais acquisition by Didi Chuxing of 99, a mobile transportation and urban mobility platform. in the case of companies listed on the Novo Mercado or Level 2 listing segments of B3 (the São Paulo Stock Exchange), the corresponding listing rules (in addition to tax, antitrust and regulatory rules). 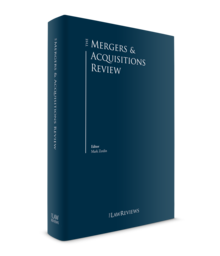 M&A deals involving solely closely held companies are only subject to the provisions of the Brazilian Corporation Law (excluding those exclusively applicable to publicly held companies). Transactions that involve public companies, in addition to the CVM Regulations, are also regulated by the applicable listing rules. banking: subject to the prior approval of the government (transfers of control of financial institutions or of significant stakes therein are also subject to prior government approval). Brazil's general takeover law did not undergo major amendments during 2017. On 2 January 2018, however, the new version of the Novo Mercado listing segment rules (the New Rules) came into force, with certain provisions already in effect that impact on specific tender offer proceedings. Essentially, the New Rules aimed to demonstrate B3's intention to simplify the tender offer proceedings; adapt tender offers to the market's reality; and reduce the extensive provisions once considered mandatory in the by-laws of companies listed with the Novo Mercado. The main changes can be summarised as follows. The previous Novo Mercado rules (the Previous Rules) set a relative presumption of control for any shareholder, or group of shareholders, that holds shares enough to ensure an absolute majority of the votes in the last three shareholders' meetings, even if such shares do not represent an absolute majority of the company's total voting capital. This presumption was excluded from the New Rules, and the concept of control must follow the Brazilian Corporation Law. A mandatory tender offer as a result of an acquisition of control is still an obligation under the Novo Mercado. Pursuant to the Previous Rules, in the case of an acquisition of control by several different transactions, the purchaser was required to pay the difference between the price of the tender offer and the amount paid for shares acquired by the purchaser in a stock exchange in the six-month period prior to the date of such acquisition of corporate control, which it is not necessary under the New Rules. As to a delisting tender offer (DTO) from the Novo Mercado, pursuant to the New Rules, the prior approval of the delisting by a shareholders' meeting is no longer required. The DTO must be accepted (or the delisting consented to) by more than one-third of the free float shares7 unless a higher quorum is set forth in the company's by-laws. Furthermore, the requirement to launch a DTO may be even waived by a shareholders' meeting installed in the first call with the presence of at least two-thirds of the free float shares and approved by the majority of holders of the free float shares attending the meeting. With respect to the price of the DTO, the rules of CVM Rule 361 will be generally applicable, as opposed to the Previous Rules, which had several specific provisions applicable only to companies listed on the Novo Mercado. The New Rules also eliminate the possibility that holders of the free float shares had to elect the appraiser that would determine the economic value of the company (for purposes of the price to be paid under the DTO) based on a list of three prospective appraisers recommended by the board of directors. Therefore, the price per share of the DTO must be fair (based on book value, market value of the company's assets, discounted cash flow, comparable multiples, market value or any other criteria accepted by CVM), and it can be challenged by minority shareholders with at least 10 per cent of the company outstanding shares, according to the Corporation Law. Concerning a tender offer for the cancellation of a company's registry as a publicly traded company, pursuant to the New Rules, it will follow the relevant proceedings set forth in CVM Rule 361, as opposed to the Previous Rules, which had a set of specific provisions applicable for such tender offer. Finally, with respect to the board of directors' report required 15 days counted as of the release of a tender offer's public notice, according to the New Rules, in addition to its convenience, opportunity and strategic plans (which were provided under the Previous Rules), it must also state the available alternatives to the acceptance of the tender offer in the market, aiming to allow investors to be informed about the potential implications of choosing whether or not to participate in the relevant tender offer. Foreign investors took a leading role in major transactions announced in 2017. Examples of significant foreign investment in Brazil included the 2.35 billion reais acquisition of 25 per cent of Campo de Roncador by Statoil, which was announced in December 2017. In April 2017, Brookfield (through its affiliates) completed the acquisition of 90 per cent of NTS Nova Transportadora do Sudeste, a company that operates a network of pipelines in southeast Brazil, with the payment of US$4.23 billion. In August 2017, Neoenergia and Elektro Holding, both Brazil-based energy companies held by Spain-based Iberdrola, completed a merger to create a new electricity company in Brazil. The deal value was 4.26 billion reais. In October 2017, Lala Derivados Lácteos completed the 5.02 billion reais acquisition of Vigor Alimentos, an important Brazilian player in the field of dairy products and processed foods. In November 2017, State Grid completed its acquisition of 94.76 per cent of CPFL Energia, by means of a public offer, in an amount of 11.3 billion reais. The ongoing Operation Car Wash investigation is expected to continue to drive M&A activity involving distressed assets, strengthening foreign investors' long-term interest in such investments. Some of the most active target sectors involved in announced M&A deals in 2017 in Brazil were education, financial, industrial (transportation and infrastructure), energy and power (including oil and gas). In the education sector, the US-based private equity Warburg Pincus acquired 27.07 per cent of Eleva Educação (which develops activities in Brazil's basic education sector) for approximately 300 million reais, through its Brazil-based subsidiary WP Búzios. In the financial sector, Banco Santander Brasil acquired 39.35 per cent of Santander –Serviços Técnicos, Administrativos e de Corretagem de Seguros, an insurance brokerage unit, for 533.54 million reais. In addition, Zerrenner Foundation, one of the largest shareholders of the brewer Ambev, acquired a 5.76 per cent stake in Itaúsa for 4.5 billion reais. In the industrial sector, China Merchants Port, through its subsidiary Kong Rise Development, has completed its acquisition of 90 per cent of TCP, a company that operates Terminal de Contêineres de Paranaguá, located in Paraná state, Brazil, in an amount of 2.9 billion reais. With respect to the energy and power sector, in November 2017, State Grid completed the acquisition of 94.76 per cent of CPFL Energia, by means of a public offer, in an amount of 11.3 billion reais. It is common knowledge that the cost of credit in Brazil remains prohibitively expensive. Acquisitions are usually funded via securities offerings (debt and equity) and bank loans, or via both. Private equity investment funds are also used as vehicles for funding in specific cases. Furthermore, local financing is generally not available in all industries. Inbound cross-border investments are typically financed outside Brazil. Leveraged buyouts are not usual, although in certain cases (especially where the buyer is a local private equity fund) pre-acquisition debt is pushed down to the target following the closing (subject to certain conditions or requirements in cases in which the target is a listed company). Security for acquisition financing normally consists of shares of the target company and guarantees of the acquiring group. The Labour Reform Law was sanctioned on 13 July 2017, amending several articles of the Brazilian Labour Code and of Laws No. 6,019/1974 (temporary employment), No. 8,036/90 (FGTS, the severance fund) and No. 8,212/1991 (INSS, social contributions). the type or method of agreement; whether a worker will be contracted as a self-employed worker or contracted to perform intermittent work; and whether the work is on-site or remote (home office), etc. The New Migration Law establishes the rights and duties of migrants and visitors, regulating their entrance and stay in Brazil. The revoked Law No. 6,815 of 1980 did not include the innovations the new Law has brought from the point of view of human rights, promoting the fight against xenophobic views that immigrants represent a threat to internal security or to the job market, and in this sense welcoming refugees and displaced people, aiming also to impose non-discrimination in general by guaranteeing equal conditions for aliens and natives. The types of visa include visitor, temporary, diplomatic, official and complimentary visas. 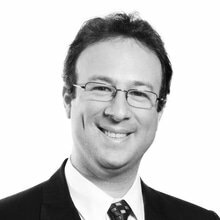 This section presents general matters regarding the ultimate beneficial owner (UBO) disclosure requirements taking into account the recent rules enacted by the Brazilian Internal Revenue Service (RFB). Normative Instruction No. 1,634, dated 6 May 2016, issued by the RFB (NI 1,634), regulates the information that must be provided to the RFB in order for foreign investors incorporated as entities (NRIs) to obtain a national taxpayer identification number (CNPJ), which is required for an NRI to invest in the Brazilian financial and capital markets pursuant to the mechanism set forth by Resolution No. 4,373, dated 29 September 2014, of the Brazilian Monetary Council (4,373 investment and 4,373 investor); and also for the NRI to directly invest in Brazilian-resident legal entities pursuant to the mechanism set forth by Law No. 4,131, dated 3 September 1962 (4,131 investment and 4,131 investor). According to Article 8 of NI 1,634, an individual is deemed the UBO of the 4,373 or 4,131 investor if he or she ultimately, directly or indirectly owns, controls or have significant influence over the entity, or is the individual on behalf of which a transaction is conducted. For the purposes of such rules, significant influence is deemed to exist whenever an individual owns more than 25 per cent of an entity's capital stock, directly or indirectly; or an individual directly or indirectly has or exercises preponderance in corporate resolutions, and has the power to elect the majority of an entity's directors, even without controlling it. Furthermore, if the shareholding chain of a certain 4,373 or 4,131 investor reaches one of the listed exempt entities, there is no obligation to disclose the UBO. In addition to NI 1,634, the RFB issued Declaratory Act No. 09, dated 23 October 2017 (ADE 09/2017, jointly with NI 1,634 (UBO Regulation)), to further regulate the application of the UBO disclosure requirements. To do this, ADE 09/2017 classifies the entities subject to UBO disclosure rules in three different categories: entities exempt from disclosing the UBO (group 1), entities resident abroad (group 2) and Brazilian-resident entities (group 3). Besides information, the UBO Regulation may also require some documents to be presented to the RFB up front, depending on the qualification of the 4,373 or the 4,131 investor, which must be reviewed on case-by-case basis. Furthermore, note that there are deadlines for presenting the information and documents requested under the UBO Regulation.13 Failure to comply with the UBO Regulation may result in the suspension of a CNPJ, and the consequent inability of the 4,373 or 4,131 investor to carry out transactions in Brazil. The competition rules did not undergo any major amendments during 2017. However, Administrative Council for Economic Defence (CADE) decisions in certain complex M&A transactions have demonstrated a more rigorous approach in the analysis of those cases. CADE's decisions have also established clearer criteria for the definition of associative agreements. The year's highlights include the signature of a memorandum of understanding between CADE and the Central Bank of Brazil (BACEN) aimed at coordinating merger and conduct investigations in the financial sector to avoid conflicting decisions. The antitrust authority blocked three mergers in 2017. This number represents a record since the new competition regime came into force five years ago. The first case rejected by CADE's Tribunal in 2017 was the proposed acquisition of Estácio Participações by Kroton Educacional. In August 2017, the Tribunal unanimously blocked Ipiranga Produtos de Petróleo's proposed acquisition of fuel distributor Alesat Combustíveis. In October 2017, CADE also blocked the proposed acquisition of JBJ Agropecuária by Mataboi Alimentos. CADE conducted a rigorous analysis of the three cases. All the notifying parties proposed remedies packages to CADE to mitigate the antitrust concerns arising from the transactions; however, the negotiation of remedies packages between CADE and the parties was not successful, and the transactions were blocked by the Tribunal. This rigorous and sophisticated approach concerning the analysis of M&A transactions is expected to continue: in 2018, a five-to-two majority of the Tribunal voted to block Ultragaz's planned buyout of Liquigás, rejecting the company's proposed remedies package. CADE's regulations set forth that associative agreements are those that have a minimum term of two years and establish a joint enterprise with the purpose of engaging in an economic activity, provided that the agreement stipulates risk and profit sharing and the parties (or respective economic groups) compete in the market related to the agreement. Such characteristics of associative agreements are set forth in CADE Resolution No. 17/2016, which became effective on 24 November 2016.
common enterprise: CADE has considered the parties' independence in defining strategic business matters (pricing, starting or discontinuing new activities, etc. ), as well as the existence of the exchange of competitively sensitive information, as important elements for the characterisation of a common enterprise. potential competition: in assessing whether the parties compete in the market related to the agreement, CADE has considered not only the current scenario, but also the possibility of the parties competing post-transaction. On 28 February 2018, CADE and BACEN signed a memorandum of understanding (MOU) seeking to establish cooperation between the two entities in the analysis of merger cases and antitrust investigations involving financial institutions, which are regulated by BACEN. The cooperation is expected to increase consistency and predictability in the proceedings conducted by BACEN and CADE. With respect to merger cases, the general rule consolidates the current situation: transactions involving financial institutions must be approved by both entities. However, the MOU establishes that BACEN can unilaterally approve merger cases that involve significant and imminent risks to the stability of the national financial system. In this case, BACEN will notify CADE, which will unconditionally clear a transaction based on BACEN's decision. With respect to antitrust infringements, the MOU establishes that both entities should cooperate and exchange information, while maintaining such information's confidentiality, and CADE must seek BACEN's opinion before imposing any penalties. The cooperation between CADE and BACEN indicates the positive attitude of the antitrust authority in seeking to bring technical knowledge about the market into its analysis, which could benefit companies that may be under CADE's scrutiny in the future. After a decrease in 2016 compared to recent years, and following the first signs of economic recovery, M&A activity increased in 2017, and the numbers for the first quarter of 2018 project a positive scenario for the rest of the year. Although this year's elections might bring more uncertainties, investors may take advantage of the current environment to enter or further expand into the Brazilian market. The current foreign exchange levels may also continue to play a role in incentivising seasoned foreign investors (especially by private equity) to take advantage of investment opportunities in the country. Another important driver for M&A activity in Brazil should continue to be the number of companies facing severe financial difficulties as a result of the prevailing macroeconomic conditions. Distressed assets available for sale are likely to include companies in various sectors. Also contributing to this trend is the Operation Car Wash probe, which should continue to boost divestitures as companies affected by the scandal struggle to raise funds and shift their focus to core or new activities. Finally, there are still industries with growth and consolidation potential (e.g., utilities, healthcare and education) that may be further explored as the country's GDP continues its tendency to grow. 1 Adriano Castello Branco is a partner and João Marcelino Cavalcanti Júnior is a senior associate at Mattos Filho, Veiga Filho, Marrey Jr e Quiroga Advogados. 6 Law No. 6,404 of 15 December 1976. 7 Shares not held by the controlling shareholders, its related persons and the management, and treasury shares. 9 Law No. 13,467, of 13 July 2017. 10 Law No. 13,445, of 24 May 2017. 11 The following are listed as exempt entities: (1) legal entities incorporated as publicly-held company in Brazil or incorporated in countries that require public disclosure of all relevant shareholders and that are not incorporated in favorable tax jurisdictions or submitted to a privileged tax regime; (2) not-for-profit entities that do not act as fiduciary managers and that are not incorporated in favourable tax jurisdictions or submitted to a privileged tax regime, as long as they are regulated and inspected by a competent governmental authority; (3) multilateral organs, central banks, governmental entities or those related to sovereign funds; (4) social security entities, pension funds and similar institutions, as long as they are regulated and inspected by a competent governmental authority in Brazil or in their country of origin; (5) Brazilian incorporated investment funds regulated by the CVM, as long as the Brazilian Individual Taxpayers' Registry or the CNPJ of the respective quota-holders is informed to the RFB; (6) investment funds specially incorporated to manage complementary pension plan resources as well as insurance plans if regulated and inspected by the qualified public authority in its country of origin; and g collective investment vehicles domiciled abroad whose shares or equity holding representative securities are admitted to trading in markets regulated by an authority accredited by CVM; or collective investment vehicles domiciled abroad: (a) whose minimum number of shareholders is equal or higher to 100, provided no shareholder holds significant influence over the vehicle; (b) whose asset portfolio is managed by a professional manager registered before an authority accredited by CVM and on a discretionary manner; (c) which is subject to investor protection regulation by a regulation authority accredited by CVM; and (d) whose asset portfolio is diversified, i.e., the concentration does not amount to significant influence in the case of concentration in assets from a single issuer. 12 ADE 09/2017 provides four tiers for entities qualified under this subgroup – each one of the entities are required to comply with different disclosure obligations. 13 The deadline depends on the type of investment and whether the 4,373 or 4,131 investor obtained the respective CNPJ prior to or after the enactment of NI 1,634.